We have been using TeamViewer for a long time and there no doubt that its one of the best remote desktop assistance. 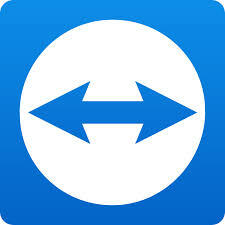 But there are many TeamViewer alternative out there which let you control your desktop remotely. TeamViewer has been hacked and there is a potential risk to use it. after all, when you are in the market for a long time, there must be some security gap. We have put together a list of TeamViewer alternative which let you do the same as TeamViewer but without any risk or threat. There is no doubt that Windows Remote desktop can be proven a great TeamViewer Alternative. Its inbuilt feature in the windows OS and can only be used with other PC which has the same operating system like windows in it. You can easily connect two window PC through LAN or internet. You just need to configure the setting on your PC. You need to give access to Remote Desktop set up. You will be asked for the username and password if you already have them. You can use the official app for that which even work with android and IOS. All and all, window remote desktop is safe and old. Because it has been used for years, all the settings are easy to use and you can set up in a matter of minutes. Its one of the best remote desktop software nowadays. Works both on Windows and iOS. One of the best things about it is, once click remote access which is much easier than other and it could become the best TeamViewer alternative. You can even call from this software to anyone in 40 countries and it’s totally free. Its basic version is free and the enterprise version will cost you 19$ per month. It has an android app as well. You can add round 250 participants in it and record the meeting and schedule the meeting with one click. Its one of the best remote desktop app and you it’s easy as well. Visit join.me today to know more about it. They have been in this business for last 20 years and more and created the best solution for screen sharing and remote desktop. You can connect your device through internet or LAN. You can connect your device to any cross-platform device. Is the one of the best TeamViewer Alternative. You can use it for the personal and non-commercial way and connect 5 device and 3 users. You can buy more and if you want to use it for business purpose, they have many other options too. It supports almost all platforms like Mac OS X, Linux, UNIX, Windows, Ubuntu, Raspberry Pi. You can chat and transfer files with it and it has VNC authentication so only people who you need to connect will connect and not anyone else. It also has encryption for additional security. Visit RealVNC and learn more about it. Its one of the best professional remote desktop software which can easily beat and become TeamViewer Alternative. They are easy to use and set up and have many more features which are not available in other remote desktop software. One of the main reason to use LogMeIn pro is, it’s totally professional and doesn’t give it away for free. You can use the trailer version but the individual planning start from 349.99$ per year. In this plan, you will get 1 TB of cloud storage to save any file on the cloud and quickly access it. you can access up to 2 computer in this plan and have an unlimited usage. You can print remotely with this software which is one of the best things nowadays. You can see more than one screen on your PC and operate Multi-Monitor Display. It is password protected and its to install and use. Visit LogMeIn Pro and learn more about it. All of this is software and partially paid to use more features but Google Chrome Remote Desktop is one of the easiest ways to gain remote access to any PC which uses google chrome. This is by far one of the best TeamViewer Alternative as you don’t need any software to use it. 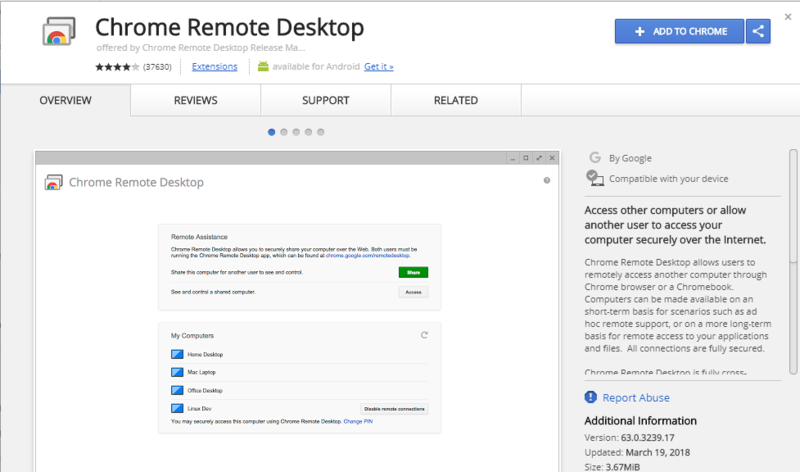 Chrome Remote Desktop allows you to connect your PC to other one and operate remotely. All you need to do it, download the Chrome Remote Desktop extension and then follow this step for windows. Click Chrome Remote Desktop Chrome Remote Desktop App. The only drawback is, you need to have the Chrome browser installed on your PC. Otherwise its one of a top contender for TeamViewer Alternative. These are Top 5 TeamViewer alternatives which you can use it easily. If you have any more questions do let us know in the comments.